Barton loved surfing ever since he first tried it in his early teens. 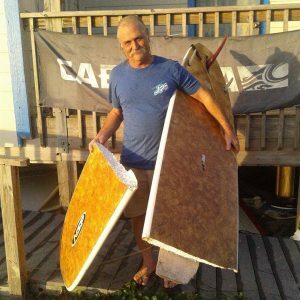 Barton kept his love of the water and learned to windsurf in the 70’s and kiteboard in the 90’s. Learning at the infancy of both sports gave him a deep appreciation for the sport and how far it has evolved today. Day to day Barton manages the store and teaches windsurfing and kiteboarding lessons to the next generation of wind sport fanatics. Barton still gets on the water and kites and surfs whenever he can! Barton passed on his knowledge and taught Reider how to kiteboard and surf at a young age. Over the years Reider began to hone his skills towards to wave kiting and strapless freestyle. Reider is now an international rider for Airush Kiteboarding. When he is not working the shop or teaching lessons, he is in the water practicing strapless freestyle and wave riding every chance he gets. After years of riding for Airush Kiteboarding, Reider knows almost everything there is to know about the Airush product line. Check out some of his riding on the video below. Though Alex has only been kiteboarding for a few years, he completely threw himself into the world kiteboarding and it shows in his riding and in his teaching. 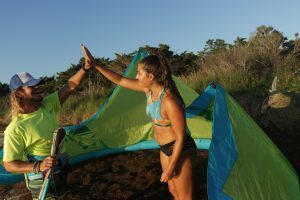 After learning how to kite in Texas, Alex went onto Florida to get his IKO certification and teach for Miami Kiteboarding. Since he has become a level 2 IKO instructor and has passed on his knowledge to so many new kiters. 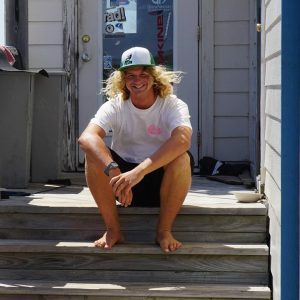 Alex is always stoked to get out on the water, whether it be surfing or kiting he is always spreading the stoke and will stop to help anyone in need with a smile on his face. 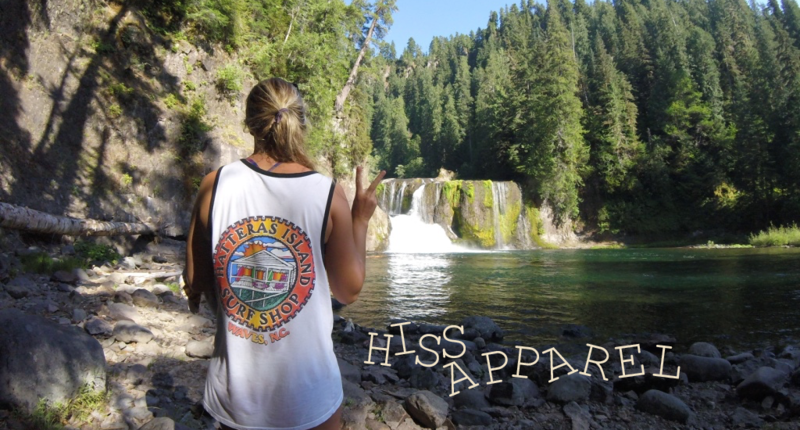 We are grateful to have someone who shares our passion and care for creating future kiters! Jay has more style on a surfboard then anyone we have ever seen, whether it is from hanging 5 on his waterlogged 9’2 or shooting out of dredging barrels on his 5’10 twin fin he shaped himself. Jay is someone who has mastered the art of reading a wave. He takes that knowledge and puts it into his surf lessons better then anyone we have ever seen. Growing up in Virginia Beach, Hatteras was just a short drive away and he took every chance he could get to come down. 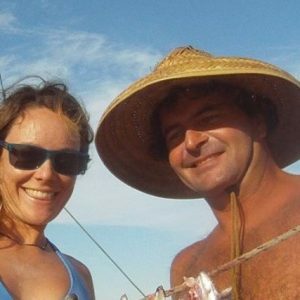 Jay and Lindsy spend time living on their full size boat in the off season and sail their Flying Scott or their 14foot Hobbie in the sound or the Ocean during the Spring and Summer.